There aren’t many bands who are fortunate enough to have a Grammy Award winning producer working on their debut alum. Kilindu have been. They’ve recently been working with Grammy winning producer, Robert Cutarella. He produced their eponymous debut album, Kilindu which was released as a digital download on 20th September 2014. Previously, Robert Cutarella has worked with the great and good of music. This includes some of the biggest names in music. Musical legends like Eric Clapton, Jeff Beck, Keith Richard, Alice Cooper and Slash have worked with Bob. So have Allison Krauss, John Legend and Joss Stone. Then there’s the 160 platinum discs artists Robert has been awarded. This is the equivalent to having sold 160 million albums. With a track record like this, Robert Cutarella can pick and choose who he works with. So when Robert agreed to work with Kilindu, people sat up and took notice. If Robert Cutarella was working with Kilindu, they must be a band going places. They were right. In March 2014, Kilindu released their debut single O Que O Futuro. Released to critical acclaim, O Que O Futuro was an internet sensation. It was a genre-melting single whose beauty was breathtaking. Just by listening to O Que O Futuro, it was obvious Kilindu were a band going places. I looked forward to the release of their debut album Kilindu. Six months later, and Kilindu have released their eponymous debut album. It’s the next chapter in the Kilindu story. Kilindu are a sextet, who were formed in Lisbon, Portugal by guitarist Pedro Duarte and singer João Pedreira. Just like the rest of the band, Pedro and João are experienced musicians who’ve spent a lifetime dedicated to music. Each member brings something new to the band. Their musical tastes, influences and styles vary. That’s no bad thing. It makes for eclectic music. Music from Europe, Latin America, Afro Cuban, African and American music melts into one. Everything from Portuguese ‘Fado’ music, Cape Verde’s traditional Morna, Brazilian Samba, Bossa Nova, Cuban Habanera and Latin jazz plays its part in Kilindu’s music. So does blues, flamenco and folk. This results in a delicious musical fusion, that comes courtesy of a talented band lead by composer and guitarist Pedro Duarte. Kilindu however, is no one man band. Far from it. Instead, Kilindu comprises a group of experienced musicians from Lisbon. They were formed in 2012, when composer and guitarist Pedro Duarte met R&B vocalist Joao Pedreira. Pedro is a guitarist who also plays mandolin, ukulele and Cuban trés. Soon, drummer Joaquim Preto, bassist Ivan Pedreira, violinist Tiago Simao, percussionist, Emanuel Pitra and saxophonist Daniel Vieira joined Kilindu. This is the lineup that would feature on their debut album Kilindu. Recording of Kilindu took place at at Atlantico Blue Studios. Eleven tracks were recorded. Pedro wrote the music and with vocalist Joao Pedreira, penned the lyrics. Kilindu were joined by producer Robert Cutarella and engineer Rui Guerreiro, who also mixed the album. With their debut album recorded, Kilindu started thinking about the album cover. Kilindu could have easily chosen any number of top designers. After all, there’s more than a little kudos being involved with such a high profile project. However, Kilindu decided to have a contest. They asked designers worldwide to submit their idea for an album cover. The winner was American designer Arjun Gheewala. His design is truly striking. Just like the music on Kilindu, Arjun Gheewala’s album cover grabs your attention. Kilindu certainly caught the attention of critics. When critics heard Kilindu’s eponymous debut album, they were won over by this genre-melting album. Critically acclaimed, great things were forecast for Kilindu. The critics saw what Robert Cutarella saw in Kilindu, a hugely talented band with bags of potential. That’s apparent on Kilindu, which I’ll tell you about. Opening Kilindu is Adamastor. There’s two versions on the album, the original version and a radio edit. An acoustic guitar toys with you, before a drum pounds and a cymbal crashes. Soon, a sultry saxophone enters and Kilindu become one. They set the scene for Joao Pedreira’s tender, heartfelt vocal. Accompanying him is a myriad of percussive delights, a gypsy violin and acoustic guitar. Providing the heartbeat is the rhythm section. Soon, Kilindu are in full flow. It’s a joy to behold. They’re a tight, talented band and Adamastor is the perfect way to open Kilindu. Jazz-tinged, smooth, soulful and beautiful it’s a tantalising taste of what’s to come. Very different is Oxala Estivesses Aqui. It has a much more traditional sound. When the arrangement unfolds, Kilindu march to the beat of Joaquim Preto’s drums. Violins, keyboards and percussion combine with Joao Pedreira’s impassioned vocal. The rest of Kilindu add equally impassioned, sweeping harmonies. Midway through the track, Pedro takes centre-stage during a brief breakdown. After this, this joyous, anthemic track heads towards its crescendo. As the arrangement to Ja Nao Te Quero Mais unfolds, it literally bursts into life. Gypsy violins and the rhythm section drive the arrangement along. Then handclaps signal the arrival of Joao’s emotive vocal. Soon, he’s joined by the rest of Kilindu. They add handclaps and harmonies. This adds to what’s a much more traditional sounding track. It’s given a modern twist by Kilindu, and the result is truly irresistible. O Que O Futuro was Kilindu’s debut single. This was my introduction to Kilindu. From the opening bars I was hooked. The rhythm section, guitars and violins combine confidently. My immediate thoughts were that this was a tight, talented, band. They’d obviously spent time honing their sound. I was right. Then percussion signals the arrival of a heartfelt, soul baring vocal from João Pedreira. As João lays bare his soul, the rest of Kilindu create a pulsating, joyous and sultry backdrop. The result is a single that’s soulful, jazz-tinged and beautiful. One listen and they’ll be won over by its breathtaking beauty. Two versions of Rua da Saudade on Kilindu. There’s the original version and the radio edit. A saxophone floats above the arrangement and is joined by percussion and a probing bass. They meander along until João’s heartfelt, earnest vocal enters. It takes centre-stage. This seems to signal the arrangement to unfold in waves. Sometimes, the tempo quickens. It reflects the emotion in João’s vocal. His vocal is key to the song’s sound and success. It’s no wonder this song has been earmarked as a single. A crystalline guitar, gypsy violin and the rhythm section combine on O Sermao Do Pescador. 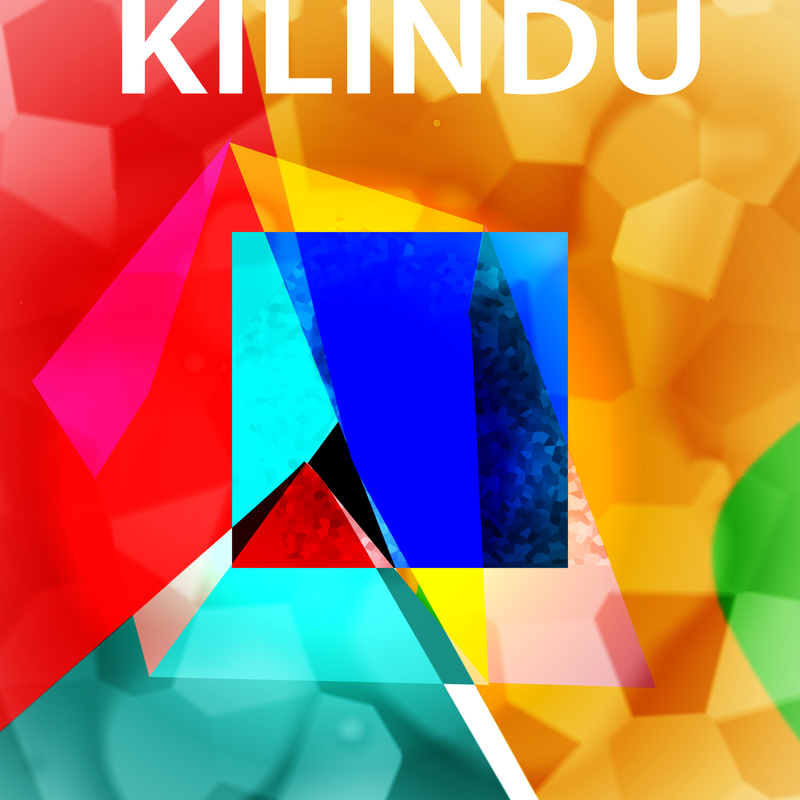 Just like most of the songs on Kilindu, it’s a fusion of disparate influences and genres. Elements of folk, jazz, Latin and soul shine through. The soul comes courtesy of João’s vocal. His vocal is deeply soulful, as he breaths life and meaning into the lyrics. Later, his vocal drops out and a floaty, jazz-tinged breakdown allows the rest of Kilindu to showcase their considerable talents. After that, João returns to add the finishing touch to this six minute opus. The sultriest of saxophone and hissing hi-hats provide the understated backdrop to Maria. Soon, João delivers a tender, seductive vocal. While the saxophone takes centre-stage, the rhythm section provide a shuffling beat and washes of keyboards float in and out. Then during a breakdown, Pedro’s acoustic guitar takes centre-stage. He’s joined by the rest of Kilindu. They’re let of the leash and enjoy the opportunity to stretch their legs, combining elements of jazz, rock, flamenco and Latin. There’s an urgency to Kilindu’s music that we’ve never heard before. This shows another side to the multitalented and versatile Kilindu. Straight away, there’s a Latin influence on Lavava No Rio Lavava. This comes courtesy of an acoustic guitar and braying saxophone. Soon, they’re joined by bongos and the wistful sound of gypsy guitars. Equally wistful is João’s hurt-filled vocal. As his vocal takes centre-stage, a rasping saxophone floats above the arrangement and the violins tug at your heartstrings. Fado Bailarico is just the latest track that’s given a Fado makeover. The arrangement takes on a much more traditional sound. That’s apparent from the get-go. There’s a sense of urgency as violins, percussion and an acoustic guitar combine with drums. Their raison d’être is to set the scene for João’s impassioned vocal. Adding a moderne twist are the bass and the guitars. They play their part in a track that’s Fado, but Fado given an urgent, moderne, makeover by Kilindu. Closing Kilindu is Amor A Agua Que Corre. Straight away, it’s obvious this is the perfect track to close Kilindu. It bursts into life a guitar joined by the rhythm section and percussion. They provide a pulsating, urgent backdrop for João’s seductive vocal. Soon, he’s joined by the rest of Kilindu. Their handclaps replace Joao’s vocal, as a breakdown begins. It’s the perfect showcase for each member of Kilindu to demonstrate their musical prowess. Each member enjoys the opportunity to take centre-stage. Then Joao returns and this irresistible track brings Kilindu to a joyous close. When I reviewed Kilindu’s debut single O Que O Futuro, I said that their debut album Kilindu was the main event. Their debut single, O Que O Futuro, was just a tantalising taste of what Kilindu were capable of. After I reviewed O Que O Futuro, I wondered what Kilindu’s debut album would be like? They had set the bar high with O Que O Futuro. It was a huge internet sensation, being played over 230,000 times. That’s almost unheard of for a debut single by an unsigned band. However, not every band are as talented as Kilindu. Similarly, not many unsigned bands get the opportunity to work with a Grammy Award winning producer like Robert Cutarella. He saw the potential in Kilindu. Not only that, but Robert Cutarella brought out the potential in Kilindu. He ensured that Kilindu fulfilled their potential. They’ve created a genre-melting album that oozes quality. From the opening bars of Adamastor, right through to the closing notes of Amor A Agua Que Corre, Kilindu combine musical genres and influences. What follows is an eclectic album of traditional and modern music. European, Latin, Afro Cuban, African and American music melts into one. Everything from Portuguese ‘Fado’ music, Cape Verde’s traditional Morna, Brazilian Samba, Bossa Nova, Cuban Habanera and Latin jazz plays its part in Kilindu’s music. So does blues, flamenco and folk. This results in a delicious musical fusion, that comes courtesy of a talented band lead by composer and guitarist Pedro Duarte. Pedro Duarte and the rest of Kilindu are a band with a huge future ahead of them. Although unsigned, they won’t be unsigned for long. Word is out that Kilindu are going places. Kilindu comprises experienced and talented musicians. They’ve spent a lifetime dedicated to music. Each member brings something new to the band. Their musical tastes, influences and styles vary. That’s no bad thing. It makes for eclectic music. Eclectic is one way of describing Kilindu’s eponymous debut album. It was released as a digital download on 20th September 2014. This is just the next chapter in the rise and rise of Kilindu. Who knows what heights Kilindu will have scaled by the time they release their sophomore album. If it’s anywhere near as good as Kilindu, then it’ll be an album to cherish. ← MARSHALL ALLEN PRESENTS SUN RA AND HIS ARKESTRA-IN THE ORBIT OF RA.